Match ends, Bordeaux 1, Zenit St Petersburg 1. Second Half ends, Bordeaux 1, Zenit St Petersburg 1. Luís Neto (Zenit St Petersburg) wins a free kick in the defensive half. Attempt missed. Nicolas de Preville (Bordeaux) right footed shot from outside the box is close, but misses to the left. Assisted by Lukas Lerager. Foul by Oleg Shatov (Zenit St Petersburg). Attempt saved. Yann Karamoh (Bordeaux) right footed shot from outside the box is saved in the bottom left corner. Foul by Leandro Paredes (Zenit St Petersburg). Attempt missed. Youssouf Sabaly (Bordeaux) right footed shot from outside the box is high and wide to the right. Assisted by Yann Karamoh. Corner, Bordeaux. Conceded by Emanuel Mammana. Attempt blocked. Yann Karamoh (Bordeaux) left footed shot from outside the box is blocked. Assisted by Youssouf Sabaly. Delay in match Elmir Nabiullin (Zenit St Petersburg) because of an injury. Corner, Bordeaux. Conceded by Luís Neto. Attempt blocked. Nicolas de Preville (Bordeaux) right footed shot from the right side of the box is blocked. Substitution, Bordeaux. Nicolas de Preville replaces Jaroslav Plasil. Hand ball by Elmir Nabiullin (Zenit St Petersburg). Attempt missed. Youssouf Sabaly (Bordeaux) left footed shot from the right side of the box is high and wide to the left. Assisted by Samuel Kalu. Substitution, Zenit St Petersburg. Oleg Shatov replaces Sebastián Driussi. Attempt saved. Yann Karamoh (Bordeaux) right footed shot from outside the box is saved in the centre of the goal. Corner, Zenit St Petersburg. Conceded by Vukasin Jovanovic. Attempt blocked. Anton Zabolotny (Zenit St Petersburg) right footed shot from outside the box is blocked. Assisted by Leandro Paredes. Goal! Bordeaux 1, Zenit St Petersburg 1. Anton Zabolotny (Zenit St Petersburg) right footed shot from the centre of the box to the bottom left corner. Assisted by Daler Kuzyaev. Lukas Lerager (Bordeaux) wins a free kick on the right wing. Daler Kuzyaev (Zenit St Petersburg) wins a free kick in the defensive half. Offside, Bordeaux. Pablo tries a through ball, but Yann Karamoh is caught offside. Attempt missed. Sebastián Driussi (Zenit St Petersburg) right footed shot from the right side of the box is close, but misses the top right corner. Assisted by Daler Kuzyaev with a headed pass. Attempt missed. Yann Karamoh (Bordeaux) right footed shot from outside the box is too high. Assisted by Lukas Lerager. Substitution, Bordeaux. Yann Karamoh replaces François Kamano. Substitution, Zenit St Petersburg. Daler Kuzyaev replaces Aleksandr Erokhin because of an injury. François Kamano (Bordeaux) is shown the yellow card. François Kamano (Bordeaux) has gone down, but that's a dive. Attempt missed. Jimmy Briand (Bordeaux) right footed shot from outside the box is high and wide to the right following a corner. Attempt missed. Pablo (Bordeaux) header from the centre of the box misses to the right. Assisted by Samuel Kalu with a cross following a corner. Attempt missed. Jimmy Briand (Bordeaux) header from the centre of the box misses to the right. Assisted by Samuel Kalu following a set piece situation. Substitution, Zenit St Petersburg. Robert Mak replaces Alexander Anyukov. Luís Neto (Zenit St Petersburg) is shown the yellow card for a bad foul. Foul by Luís Neto (Zenit St Petersburg). Foul by Sebastián Driussi (Zenit St Petersburg). Foul by Anton Zabolotny (Zenit St Petersburg). Claudio Marchisio (Zenit St Petersburg) wins a free kick in the defensive half. Attempt missed. Samuel Kalu (Bordeaux) left footed shot from the right side of the box is close, but misses to the left. Assisted by Younousse Sankharé. Attempt missed. Leandro Paredes (Zenit St Petersburg) right footed shot from outside the box is just a bit too high. Leandro Paredes (Zenit St Petersburg) wins a free kick in the defensive half. Substitution, Bordeaux. Jimmy Briand replaces Andreas Cornelius. Second Half begins Bordeaux 1, Zenit St Petersburg 0. First Half ends, Bordeaux 1, Zenit St Petersburg 0. Corner, Zenit St Petersburg. Conceded by Benoit Costil. Attempt saved. Anton Zabolotny (Zenit St Petersburg) header from the right side of the six yard box is saved in the top right corner. Attempt missed. François Kamano (Bordeaux) right footed shot from outside the box misses to the left. Assisted by Younousse Sankharé. Anton Zabolotny (Zenit St Petersburg) wins a free kick on the left wing. Claudio Marchisio (Zenit St Petersburg) wins a free kick in the attacking half. Attempt missed. Aleksandr Erokhin (Zenit St Petersburg) header from the centre of the box is high and wide to the right. Assisted by Leandro Paredes with a cross following a corner. Corner, Zenit St Petersburg. Conceded by Jaroslav Plasil. Goal! 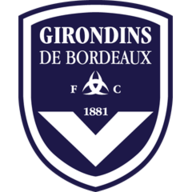 Bordeaux 1, Zenit St Petersburg 0. François Kamano (Bordeaux) converts the penalty with a right footed shot to the bottom left corner. Andrey Lunev (Zenit St Petersburg) is shown the yellow card. Penalty Bordeaux. Youssouf Sabaly draws a foul in the penalty area. Penalty conceded by Emanuel Mammana (Zenit St Petersburg) after a foul in the penalty area. Attempt missed. François Kamano (Bordeaux) left footed shot from the centre of the box misses to the left. François Kamano (Bordeaux) hits the right post with a right footed shot from the centre of the box. Elmir Nabiullin (Zenit St Petersburg) is shown the yellow card for a bad foul. Attempt missed. 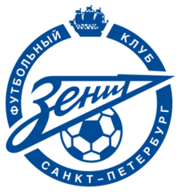 Luís Neto (Zenit St Petersburg) header from the centre of the box misses to the left. Assisted by Leandro Paredes with a cross following a corner. Delay in match Vukasin Jovanovic (Bordeaux) because of an injury. Corner, Zenit St Petersburg. Conceded by Pablo. Attempt missed. Andreas Cornelius (Bordeaux) header from the centre of the box is too high. Assisted by Maxime Poundjé with a cross. Attempt missed. Aleksandr Erokhin (Zenit St Petersburg) right footed shot from the centre of the box misses to the right. Anton Zabolotny (Zenit St Petersburg) wins a free kick in the defensive half. Younousse Sankharé (Bordeaux) wins a free kick in the attacking half. Offside, Bordeaux. Lukas Lerager tries a through ball, but Younousse Sankharé is caught offside. Attempt missed. Younousse Sankharé (Bordeaux) left footed shot from the right side of the box is close, but misses to the right. Attempt blocked. Youssouf Sabaly (Bordeaux) right footed shot from outside the box is blocked. Assisted by Jaroslav Plasil. Attempt blocked. Samuel Kalu (Bordeaux) right footed shot from the centre of the box is blocked. Assisted by François Kamano. Attempt blocked. Maxime Poundjé (Bordeaux) left footed shot from outside the box is blocked. Corner, Bordeaux. Conceded by Miha Mevlja. Attempt blocked. François Kamano (Bordeaux) right footed shot from the left side of the box is blocked. Assisted by Samuel Kalu. Attempt saved. Samuel Kalu (Bordeaux) right footed shot from outside the box is saved in the bottom left corner. Assisted by Jaroslav Plasil. Offside, Zenit St Petersburg. Claudio Marchisio tries a through ball, but Sebastián Driussi is caught offside. Offside, Bordeaux. Younousse Sankharé tries a through ball, but François Kamano is caught offside. Attempt saved. Samuel Kalu (Bordeaux) right footed shot from outside the box is saved in the centre of the goal. Assisted by Maxime Poundjé. Aleksandr Erokhin (Zenit St Petersburg) wins a free kick on the right wing.